jumpsuit with an attached spiked tail and detachable wings. nappy changes and skid-resistant bottoms on the attached dragon feet. 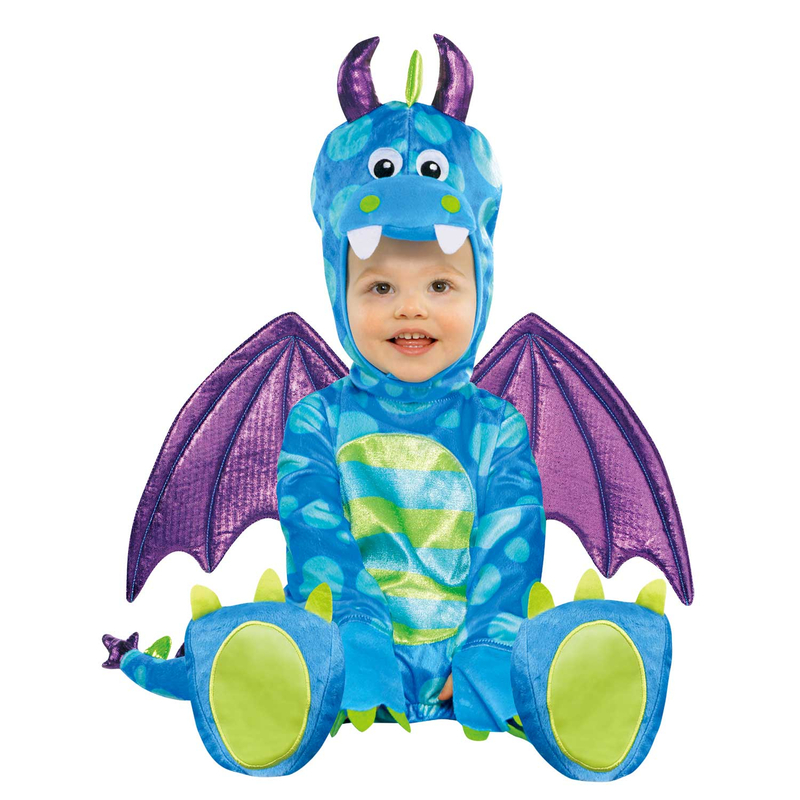 Top off baby's roaring good dragon costume with the included hood shaped like a dragon face!